The provincial regulator is investigating. Serenity Funeral Home in Berwick, N.S. has reportedly mixed up two bodies, accidentally cremating the wrong woman. BERWICK, N.S. 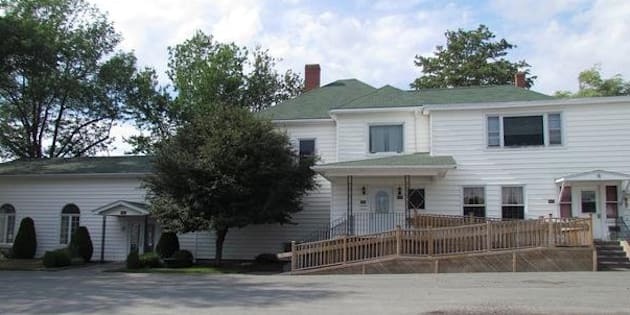 — A Nova Scotia regulator is investigating a bizarre mix-up at a funeral home that provided two wrong bodies to a grieving family before realizing their loved one had accidentally been cremated. Adam Tipert of the Nova Scotia Board of Registration of Embalmers and Funeral Directors says they are looking into how the Serenity Funeral Home in Berwick handled the remains of 65-year-old Sandra Bennett, who died at home on Dec. 20. Tipert says they're trying to determine the chain of custody and how Bennett was cremated, despite wishes from her family that that not take place. Relatives say they showed up for Bennett's visitation on Dec. 27 only to discover another woman in the casket and wearing Bennett's clothing. Her sister, Carolyn Dominey, says funeral home staff insisted it was her, but eventually brought in another body, which also was not Bennett. Dominey says funeral home staff indicated Bennett had mistakenly been cremated, but officials at Serenity Funeral Home did not respond to a request for comment.